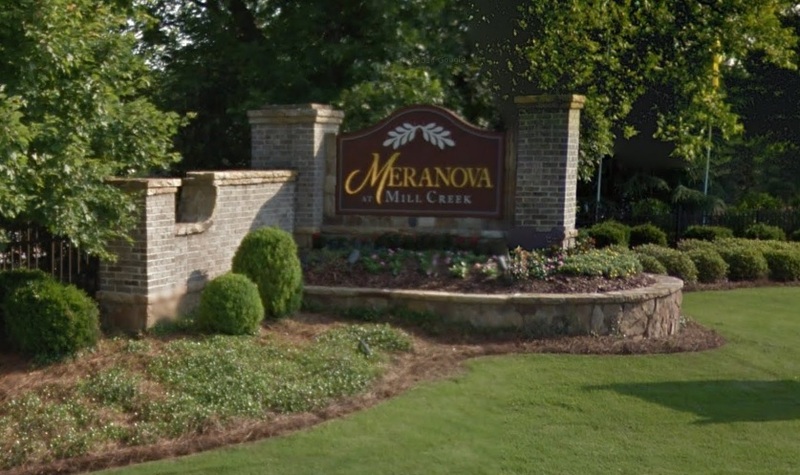 Meranova at Mill Creek is a community of custom built homes in Buford Georgia. It is located on Sprout Springs Road near Chateau Elan. It is near Interstate 85, Hamilton Mill, and the Mall of Georgia. Meranova at Mill Creek offers its residents a huge Craftsman style clubhouse, Jr. Olympic size swimming pool, lighted tennis courts, conservation green space surrounding the community and excellent Mill Creek schools. Meranova at Mill Creek is served by the Gwinnett County School System. The schools zoned for this community are Mill Creek High, Frank N Osborne Middle, and Duncan Creek Elementary. The homes available for sale in Meranova at Mill Creek Subdivision are listed below.